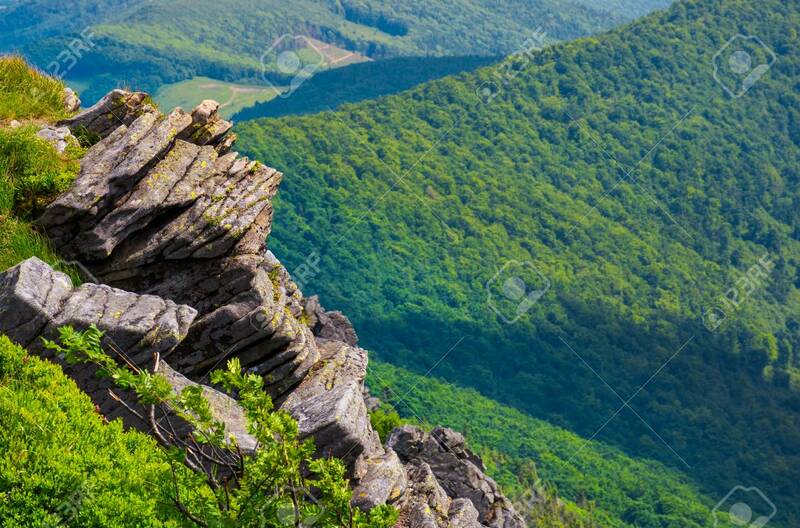 Rocky Cliffs Above The Forested Valley. Lovely Summer Scenery.. Stock Photo, Picture And Royalty Free Image. Image 102886250.